Six individuals were baptized at Samaritan Lodge Alaska last week. Week Nine ends with five marriage rededications, six baptisms, and five individuals receiving Christ as Savior and Lord. 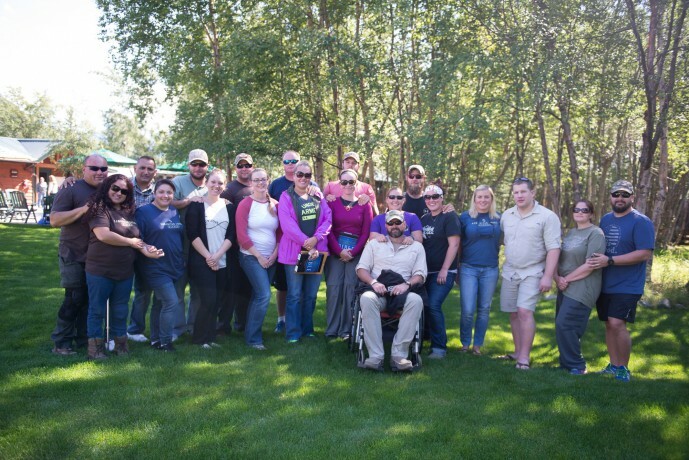 Week Nine of Operation Heal Our Patriots, the Samaritan’s Purse project for wounded military personnel and their spouses, ended on July 31. There was much to celebrate as marriages began to heal and lives were saved for eternity. “It was amazing. We got a great relationship again with each other and with God,” said Syl Pabon, wife of Army Sergeant Alex Pabon. She was born again at Samaritan Lodge Alaska and her husband rededicated his life to Christ. “There were a lot of things missing [in our relationship] we didn’t even know until we got there,” she said. 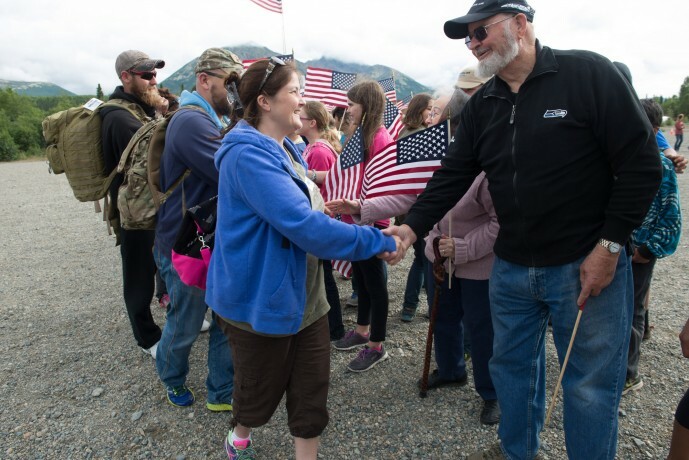 Please pray for the dozens of Operation Heal Our Patriots couples traveling to Alaska over the next seven weeks this summer. Pray also for the spiritual growth of those who have already attended this year. Below you can view a selection of some of the best images from last week. 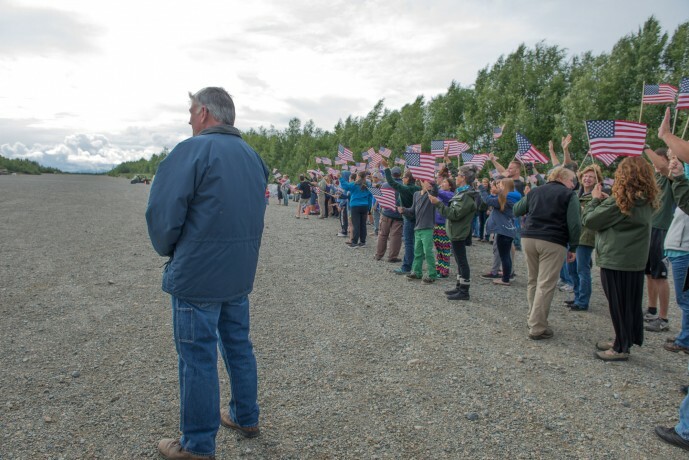 Samaritan’s Purse President Franklin Graham, area residents, and our staff await military couples arriving at Samaritan Lodge Alaska. Couples are greeted by handshakes and waving flags as they arrive. Ten military couples went through marriage enrichment training in Week Nine. They enjoyed a variety of outdoor activities together and listened to daily Bible-based teaching from our retired military chaplains. 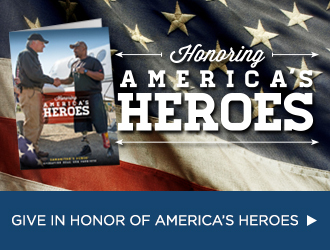 Each couple has had at least one spouse injured in combat or combat-related actions after 9/11. Army Sergeant Alex Pabon of Dover, Delaware, and his wife Syl rededicated their marriage to God and each other. 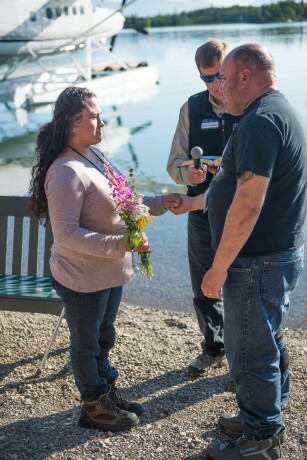 The couple was also baptized together in Lake Clark on Friday. Alex wrestles with post-traumatic stress disorder following service in Iraq, Kuwait, and the Pentagon (in the wake of the 9/11 attacks). Marine Staff Sergeant Adam Sorensen of Salt Lake City, Utah, and his wife Victoria were also among five couples to renew their vows. The couple was baptized together as well. Adam was severely injured when an improvised explosive device went off just three feet from him while serving in Helmand Province, Afghanistan, in 2010. He trusted Christ for salvation while in Alaska. 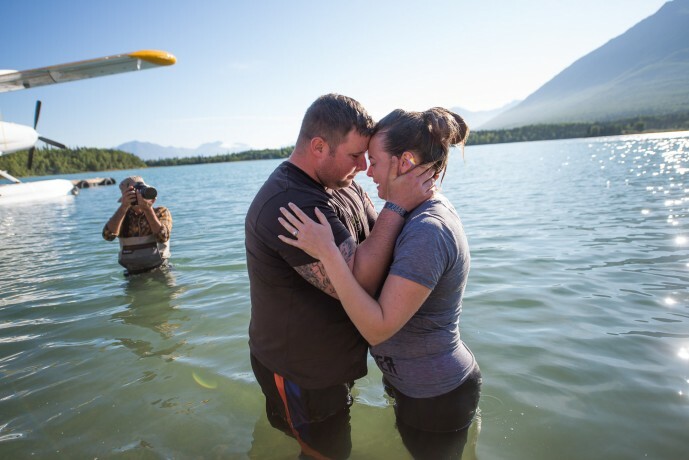 Army Sergeant Pierce Senkarik and his wife Allison of Gainesville, Florida, embraced following Allison’s baptism. She received Christ as her Lord and Savior earlier in the week. Pierce suffers from a long list of injuries following separate incidents in Iraq in 2005 and 2008. 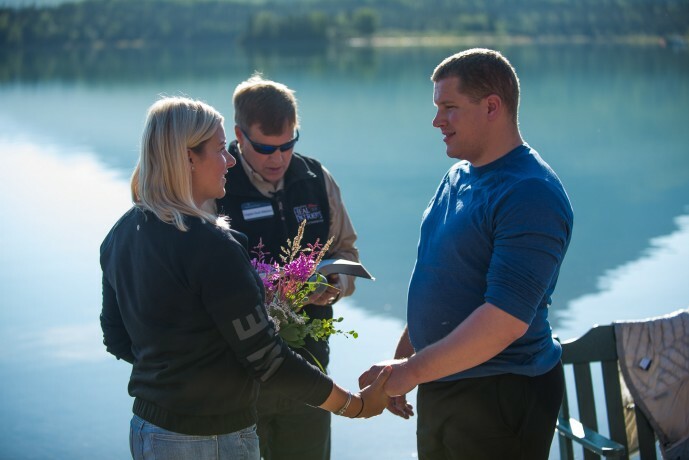 Bless the Marriage of a Military Couple Operation Heal Our Patriots helps military couples build a strong spiritual foundation during a week of Biblically based workshops, relationship-building wilderness activities, and individual care by our retired military chaplains. We offer all this free of charge to these American heroes as a token of our appreciation for their service and sacrifice. Your gift will help us cover the costs—including transportation, lodging, activities, and long-term aftercare—so that we can help them find hope in the Lord. 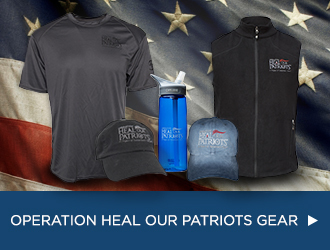 Operation Heal Our Patriots gives wounded veterans and their spouses the opportunity for spiritual refreshment, physical renewal, and marriage enrichment. 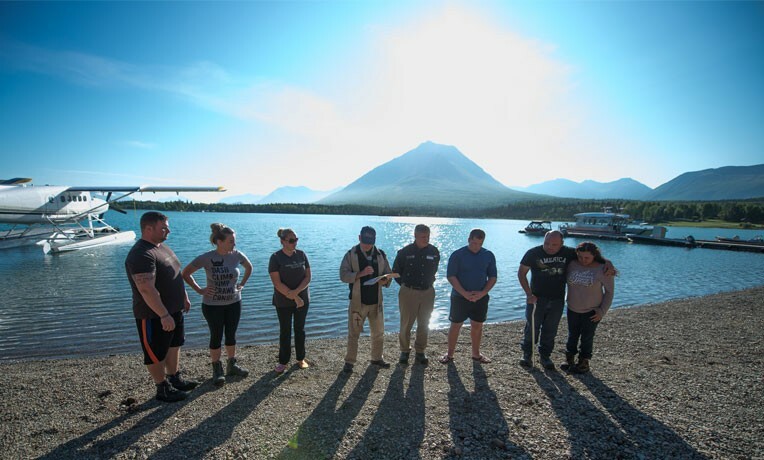 Couples participate in Biblically based seminars that help strengthen their relationships with God and others and enjoy the beauty of God’s creation with outdoor activities at our Alaskan wilderness lodge. We continue to support these men and women after their initial stay, keeping their spiritual needs and marriages a priority. We will began receiving applications on Feb. 1 for the 2019 summer season. Go here to apply.